Your following of my meanderings and encouragement means the world to me! Should you wish to snag a “fragment of light” for yourself or to give to someone you care about, a reminder that my Etsy shop, Fragments of Light Art, is open 24/7. Sifted Into Gold; 2014, re-worked 2015; 21″ x 29″; mixed media: ink, pastel, watercolor. Privately owned. Called; 2013; 22″ x 30″; mixed media: charcoal, watercolor, pencil, pastel. Summer Day; 2014; 15″ x 18″; watercolor. Privately owned. Watching for Morning; 2013; 21″ x 28″; mixed media: watercolor, charcoal, ink, pastel. Battle Cry (series #4); 2015; 15″ x 19″; mixed media: oil-based ink, watercolor, acrylic. Chair #4; 2016; 19″ x 15″; mixed media: oil-based ink, watercolor, acrylic. 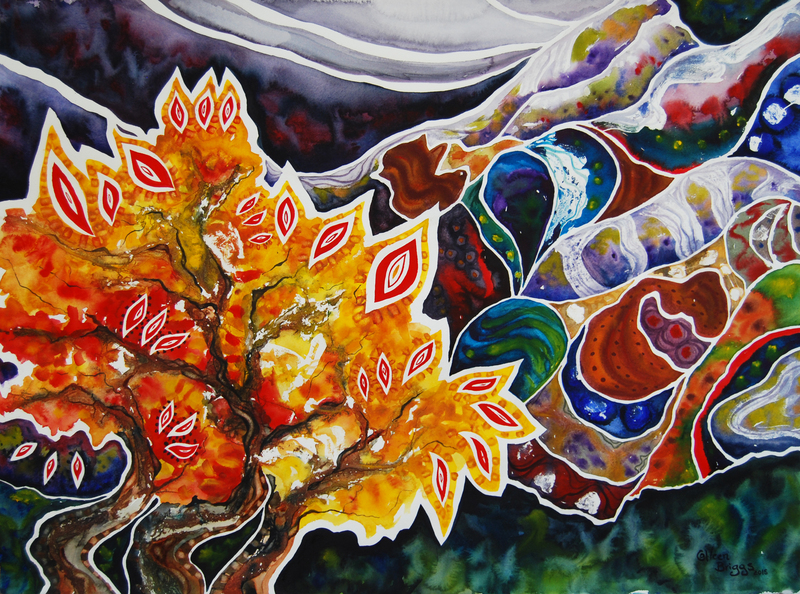 Holy Ground; 2014; 22″ x 30″; watercolor. Privately owned. love the colors. Great paintings! Thank you so much for visiting Jordan, and for taking the time to leave an encouraging comment!